Generate bills at the right time, track delays and defaults to calculate arrears or losses and maintain proper fund flow. Telecommunication companies have been generating oceans of billing data since the very beginning. Previously this detailed billing was limited to track time and duration of each call. Cell phones have given a new meaning to data as data is no longer limited to track calls. It has moved beyond calls and entails messaging and web data usage. With every cell phone call CDR (call detail record) is created. With every web page visited an event detail record (EDR) is created that comprises information such as URL browsed and volume of data downloaded. This has created huge data lying in silos in multiple systems and is the base to generate billing reports. On the other hand, telecommunication industry is grappling with the problem of frauds. These frauds can be in the form of theft of cell phone and usage and later destroying the card which inflates the billing however no one is liable to pay it. Distributors or agents purchase chunk of subscriptions and then impose rules which are not in line with the company and later declare themselves bankrupt and vanish under the thin air. Subscription using fake identities and later no one to be found for payment. This leads to a grave situation as it affects the bottom line. Existing methods of detecting fraud has not been effective in curbing this situation. 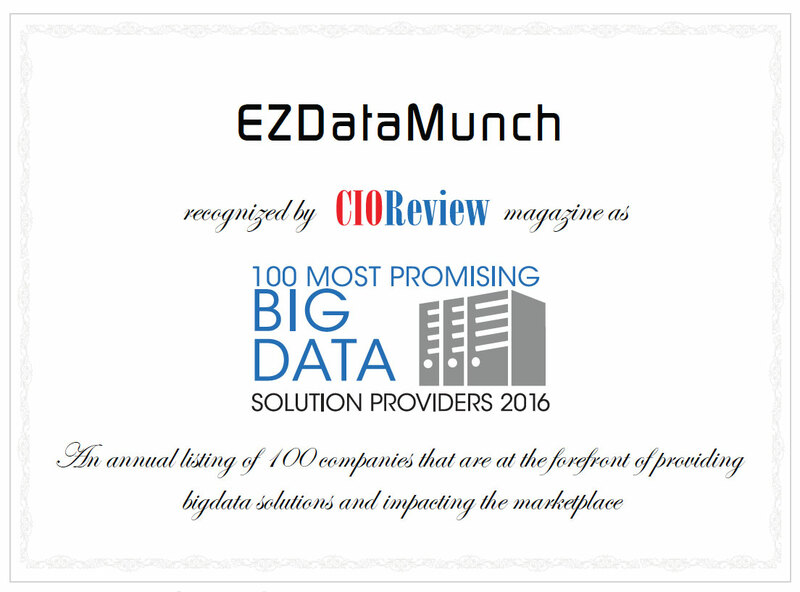 EzDataMunch’s telecom BI dashboards can capture data from multiple systems and turn this raw silos of data into informed decision. Companies get real-time information that gives insight into customer behavior regarding call volume, call time, messaging and internet data usage. This information can be utilized to cross sell and upsell to existing customers and device new offers keeping this as a benchmark and reach out to customers of similar demography. Our telecom business intelligence dashboards can help in identifying frauds by giving detailed insight into customer patterns. 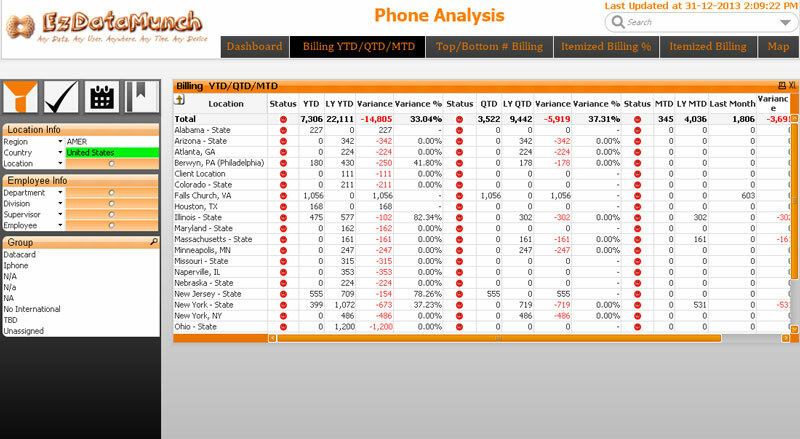 Now these patterns relate to every call, duration of call and figure out outliers to warn against a potential fraud. Business intelligence practices can be applied to all the target groups to track and measure the usage of subscription provided to such groups. This can further be applied as per region to detect fraud and take actions in advance. 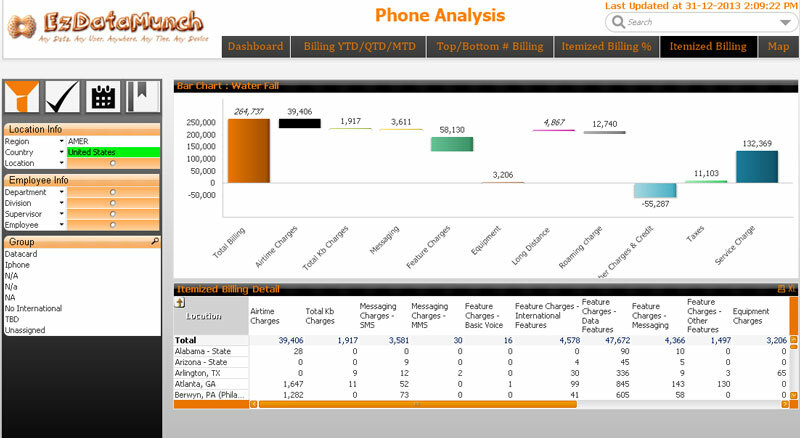 These telecom BI dashboards gives end-to-end information regarding billing and are grouped under one frame for ease of use. A manager only has to shift between tabs to see the desired information. Managers can quickly see the most critical billing information pertaining to current year, quarter, or month with just a click. This data can be compared with previous years data to track variance in terms of payment trends and over dues. This information forms the backbone of making highly informed decisions and predict the future variations. 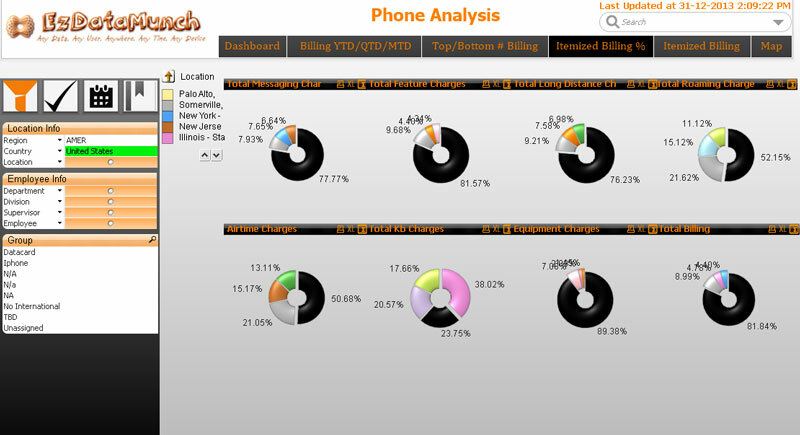 Our telecom BI dashboards gives complete details of billing information pertaining to every facet of telecom services. For instance, a detailed breakdown of billing from messenger services, data services, value added features, roaming charges, total data charges and more can be view in a single window. And this data can be drilled down as per the location to see which location is performing and meeting the target criteria and check outliers to track variance and take appropriate measures to improve performance.